Tagline: "The Closest You Ever Want to Come to Nuclear War is...Threads!" Cast: Karen Meagher, Reece Dinsdale, David Brierly, Rita May and Nicholas Lane. The original Threads debuted on BBC 2, in 1984. At that time, it was the most popular cable movie to date. In its debut, the film drew over 7 million viewers. The film, from BBC exec' and director Mick Jackson, covered a nuclear exchange between western nations and Russia. The results are truly terrifying. This re-release, through Severn Films, hosts a number of extras, including interviews with the crew. The story itself is a dire look at surviving a nuclear strike. It might be best to succumb to the initial blast. The visuals and the storytelling come across as authentic, thanks to several scientists and consultants. The tone, of the film, is light initially; but, it darkens after the strike. A difficult watch, Threads is for those looking for an informative look at nuclear war. The new release of Threads (January 31st) hosts several extras. Director of photography Andrew Dunn gives his take on filming this title. He relates some of his experiences working with director Jackson. He also mentions actress Karen Meagher's dedication to the material. Meanwhile, Jackson sits down with Severin Film's exec' David Gregory and writer Kier-La Janisse. They discuss the events leading up to the film's development, at the BBC. This trio also discuss other films, in this genre, including The Day After (1983). It is an interesting chat on the harms of nuclear war. There is also an interview with Meagher and production designer Christopher Robilliard. There is a lot of new material here, for film collectors. The 2K transfer also highlights the film's audio and visuals as much as possible. 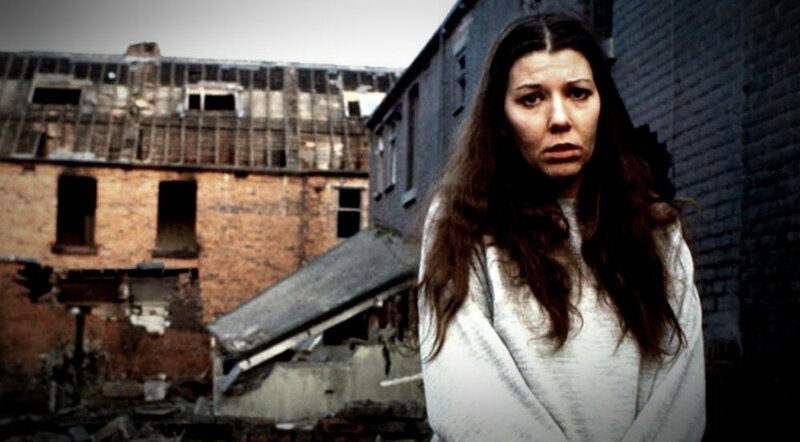 The story in Threads focuses on the town of Sheffield. Here, the locals go about their jobs and lives, while tension increases in the Middle East. Military personnel are killed overseas. And, during the '80s, Germany was still split in two. Here, even more conflict breaks out. Small nuclear exchanges take place, which broaden to the United Kingdom. An initial blast targets a nearby NATO base. Then, a nuclear strike hits Sheffield, directly. The results are grim. Bodies burn in the rubble. A family struggles to find shelter. Looters slaughter a couple of survivors. Everyone heads to the hospital, where there is no support. The government turns on the civilians. 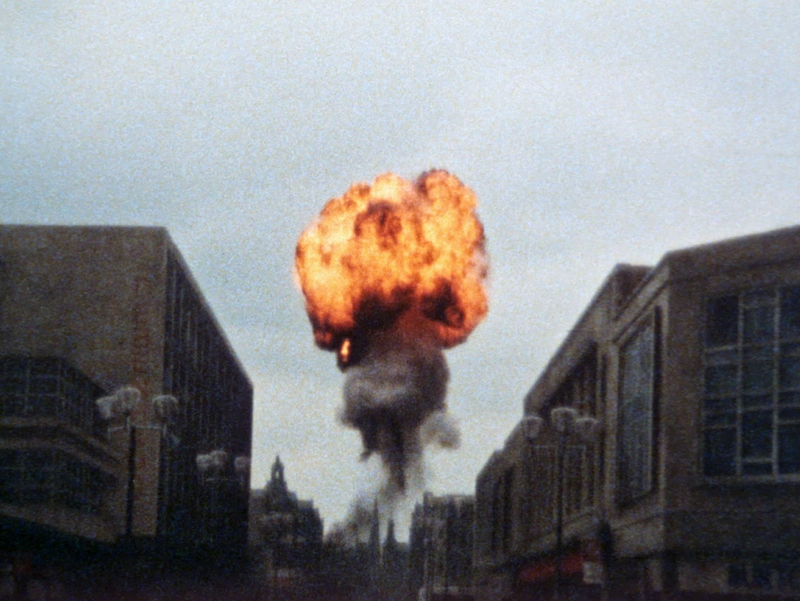 In the final moments of Sheffield, it is a very horrifying look at life in the rubble, after a nuclear war. This film fan is no expert on nuclear war. However, all of the events onscreen come across as authentic. What would a nuclear war look like? Filmmakers Barry Hines and Jackson capture this nightmare and put it to film. The initial blast kills millions, while the irradiated fallout kills millions more. Bodies are everywhere. This film definitely offers a tip, for surviving a nuclear exchange. Get out of town! Cities will be targeted first. You might have a chance out in the country. But, even if you survive the initial blast, your chances of surviving a nuclear winter are slim. So, you should pack your supplies now and not rush the supermarket last minute. Overall, the film offers a number of difficult scenarios, which would happen after a nuclear exchange. And, Threads offers an informative look at life after the bomb. The Protagonist Changes Based on Who is Still Alive. Finally, Threads offers a very unsettling change in tone. Through the first half of the film everything is light and inviting. Two families are preparing for the birth of their daughter or granddaughter. Once the first bomb goes off, the tone shifts from light to dark and the film never really recovers its earlier, lighter tone. 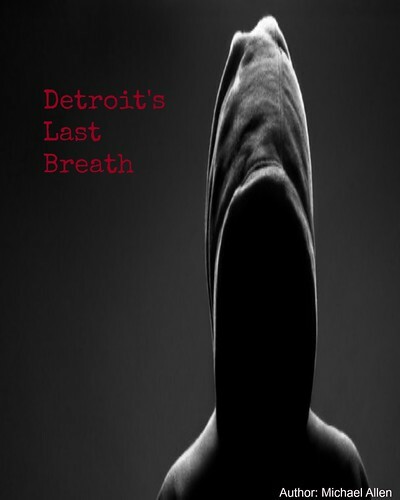 After the halfway mark, this is a serious look at survival. This change in tone will shock some. Personally, this viewer had to turn the film off, at least once, after Threads changed its tone. There are only so many burning bodies one can handle, in an evening. Others may find this material too catastrophic to finish. So, this film may be only for those of a more stalwart nature. The dark tone will wear you down over time. 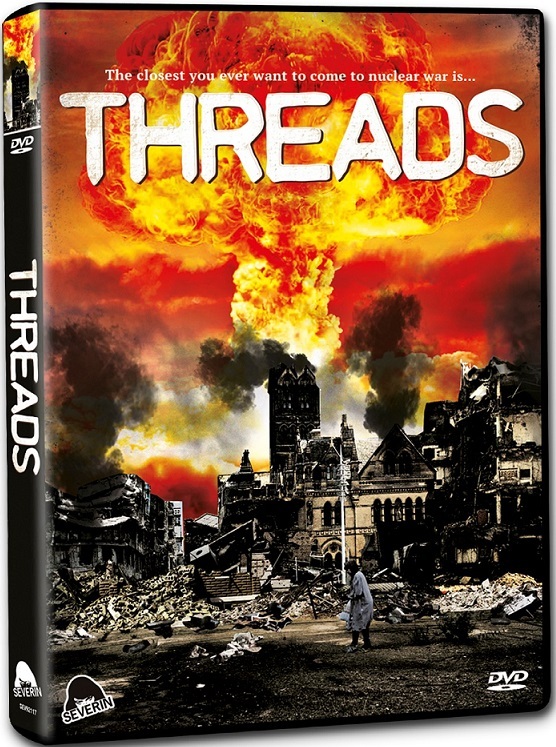 Threads was re-released by Severin Films, in late January of this year. Severin Films also released Threads on Blu-ray for the first time. The original film was shot on 35 mm, so the original reels are grainy and washed out - compared to modern films. The 2K transfer draws as much out of the film as possible. Still, it is difficult not to notice the initial, lower film quality. Some of the washed out visuals help the storytelling. This is an apocalypse, after all. Still, this viewer mostly enjoyed this release. It really is a realistic look at what could happen if countries turned on each other, in a modern war. And, no one wins in a nuclear war.